This power supply is a compatible replacement for Dell part number D280P-00 power supplies. If you own a Dell part number D280P-00 this F5114 power supply will fit without modification. We also offer this power supply upgrade that will replace your Dell part number D280P-00 power supply. Note! 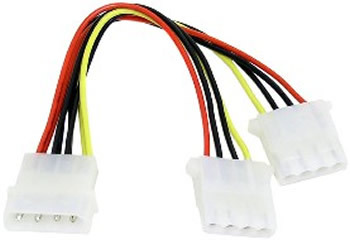 To be 100% compatible you may need to add one "Molex to SATA adapter" and two pieces of the "Y-Splitter". This is offered right below the picture of the power supply and right above the "buy now" button.